By only using produce from the nearby Dolomite mountains, Norbert Niederkofler gave birth to a cooking philosophy famous across Italy. Despite being very selective about the ingredients he uses, his cuisine is some of the most varied in the country. 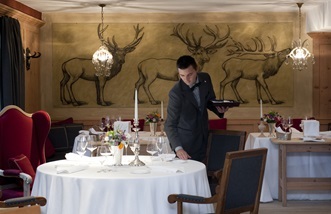 South Tyrol may only be a small region of Italy, near the Austrian border, but twenty-one of its restaurants have managed to achieve twenty-six Michelin stars. 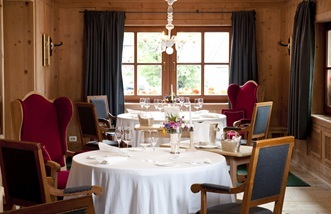 This makes it one of the most competitive culinary hotspots in Europe, and the three-starred St Hubertus, run by Norbert Niederkofler, is seen as one of the area’s best. After finishing his studies at a culinary college in Tegernsee, Germany, Norbert worked in London, Zurich and Milan, before arriving in Munich to work with Eckart Witzigmann, his greatest mentor. Eckart taught him how to respect nature and its produce to achieve culinary perfection. After seven years in Munich, he travelled to New York and learnt the secrets to innovation under restaurateur David Bouley. It was here that he truly began to develop his own style, but after a while he started to miss the mountains and flavours of his hometown. 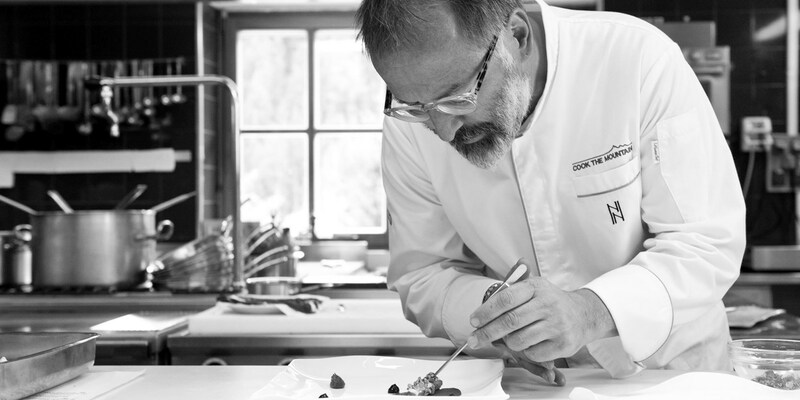 In 1993, Norbert returned home to work at the Castel Colz in La Villa for a year, before being offered the chance to run the kitchen at Hotel Rosa Alpina in San Cassiano, at the base of the Dolomite mountains. 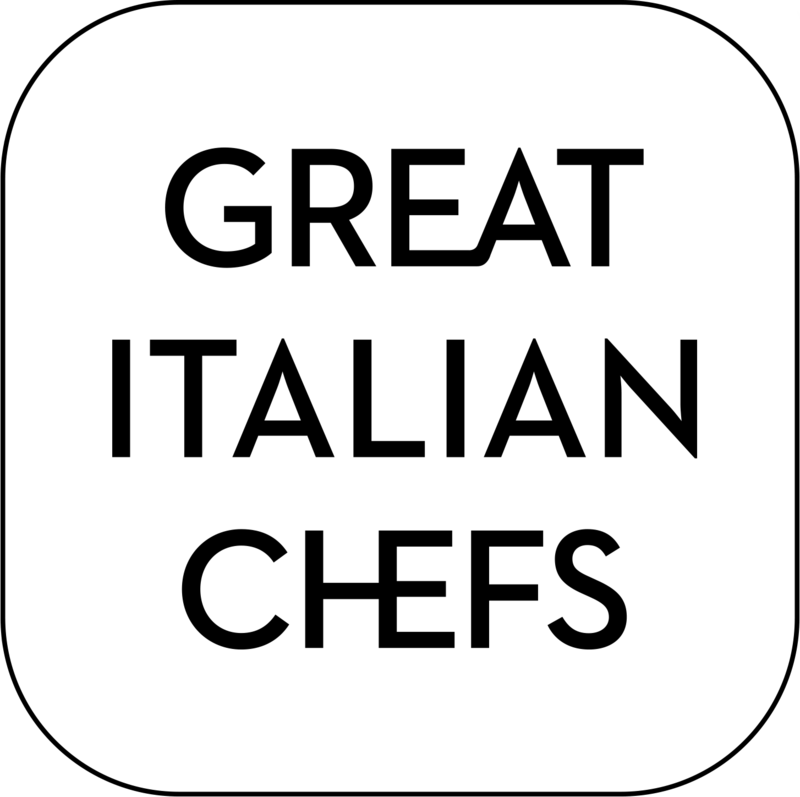 At the time the restaurant was a pizzeria, but Norbert set about turning it into a fine dining establishment, using the cuisines of Austria and Italy as inspiration. He eventually decided to dedicate a small part of the restaurant to the local mountain range, refused to use ingredients produced outside of the Dolomites and named the restaurant St. Hubertus. News spread of this ‘Cook the Mountain’ philosophy, as it came to be known, and in 2000 the restaurant won its first Michelin star. Shortly after, the owner of the hotel decided to close down the pizzeria and let Norbert have full control over the menu, which eventually led to a second star in 2007. 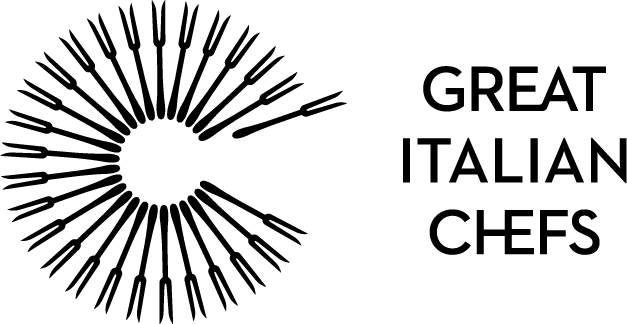 In 2017, it achieved the very highest accolade, receiving a final third star for its incredible food. Norbert’s commitment to the Dolomites meant he had to research the area extensively and strike up close relationships with the region’s farmers and producers. He also had to start using more uncommon ingredients and try new things. ‘We use twenty-five different kinds of carrots throughout the year and an almost endless variety of herbs including amaranth leaves, sorrel, wild onion and celeriac,’ he explains. ‘The most natural ingredients are the most important.’ Now, Norbert serves dishes such as char from Val Passiria with peas and horseradish and Stuffed ravioli with chard – perfect examples of the region’s local flavour – while his more experimental, playful recipes make the most of humbler ingredients, like his Beetroot gnocchi with beer soil and cream of daikon cress. One of Norbert's strongest memories is eating his mother's wild cranberry jam, made from berries grown in the nearby mountains. He continues to use local cranberries on his menu today. Norbert once cooked a risotto in Nepal at 5,000 metres above sea level. It took fifty minutes to cook because of the altitude. Norbert is still an avid skier and used to enjoy snowboarding in the 1980s.